There’s something special about bold & vibrant colors! Colors have the power to communicate, set the mood, make a statement… And London based Phil Ashcroft knows how to rock them well! Most of us know who the artist Jean-Michel Basquiat was and love his amazing work, but only few knew him for who he really was and the real stories behind his work and persona. 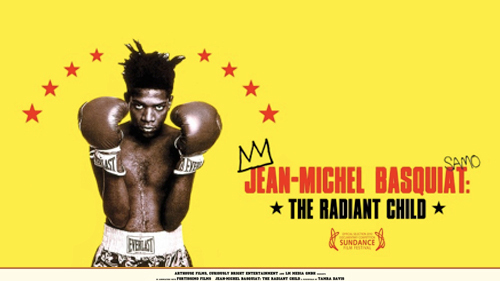 One of the privileged few was his friend, director Tamra Davis, who documented Basquiat’s inner-world over twenty years ago and released her documentary film ‘The Radiant Child’ back in 2009. If you have not seen this film yet, consider it strongly recommended! 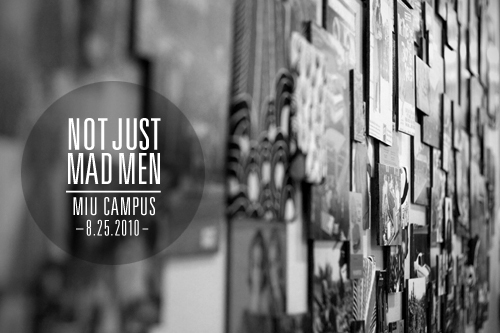 Last night, I had the chance to attend Duke University’s ‘Not Just MAD MEN – The Golden Age of Advertising’ Panel Discussion sponsored and held at the Miami International University of Art & Design which by the way, will be on display until September 30th in case you are in Miami. A panel of experts shared their experiences and views on the ‘Golden Age’ of Advertising and answered a few questions regarding the evolution of advertising and how we as a society are in the middle of a new type of transition. Re-brands to designers are like chocolate to fat elementary school kids. We’ll never have too much and we’ll never turn them down! 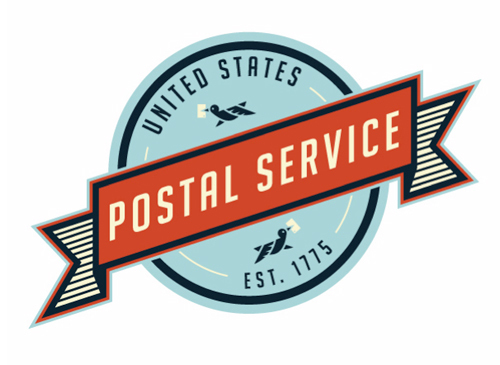 This recent United States Postal Service re-brand project by Matt Chase will make your mouth water and bring back memories of those happy days when you could eat truckloads of chocolate and not gain a pound. This is a fantastic example of a detailed and well researched project PLUS, the ‘vintage’ concept, execution and applications are flawless! Remember flipping through magazines as a kid and only caring or stopping to check cool ads and photos? I do! And this my dear friends, is the undeniable power of Commercial or Advertising Photography. 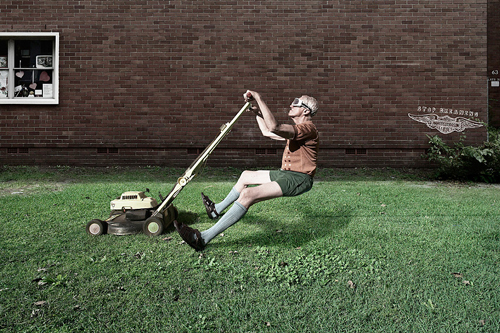 Andreas Bommert is a Sydney based talented photographer famous for his witty, catchy style and whose client list includes Sony, Harley Davidson and more! If you are following TheeBlog on Facebook, you already got a tasty little sample of the beautiful work by Adam Boozer, a Charleston based creative director/filmmaker, and brain behind Jewell & Ginnie. I had the pleasure of chatting with him and decided to share more of his great work while we work on some material coming soon! We all like posters! 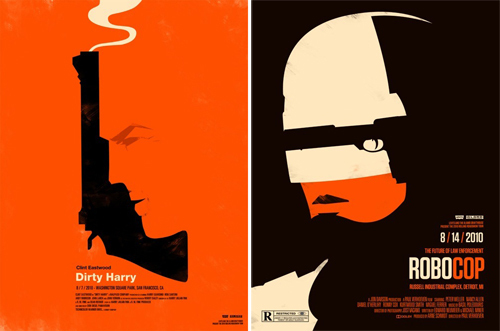 And today, I wanted to share a classic film series designed by Olly Moss for The 2010 Alamo Drafthouse / Levi’s Rolling Roadshow. The mix of bold colors, textures, vintage goodness and great illustration works well. 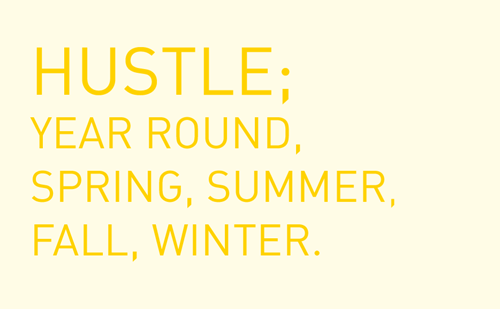 And if you add a hint of Paul Rand… I’m sold! Most of us like watching movie trailers and sometimes, we enjoy them more than the actual movie! Something similar happens with reels and motion graphics! The combination of colors, explosions, filters, music… is just magical! 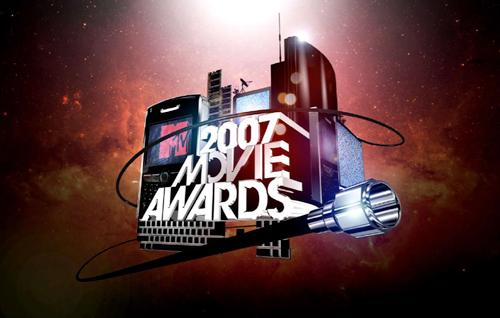 Nau is an LA based creative agency responsible for amazing motion work for clients like MTV, Spike and Lexus, and yes, one of my favorite bookmarks. 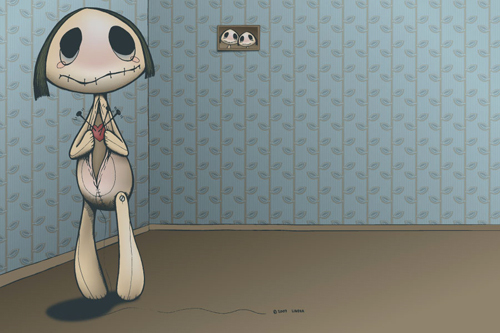 Check out some of their work and visit their site for more, believe you me, it is worth it. The unexpected rise of award winning Indie and Independent films proved that crazy budgets and production crews are not always necessary (although very helpful) to create quality films. And this golden oldie takes this concept one step further! We all remember that epic ‘Invasion of Normandy’ scene in Spielberg’s Saving Private Ryan. But what would you think if I tell you that same scene could be recreated by three ‘actors’, a Z1 camera, a pop up greenscreen, some soldier uniforms and 2 rubber rifles? Crazy I know… but check this out! Ok, I have to admit it, after posting a few great illustrators’ sites recently, I got a little carried away and decided to share another one of my archived favorites! This time is Birmingham based Tahgasa Bertram aka Sweaty Eskimo! Today is Friday 13th and everyone has mentioned it at least 12 times at your office, school or home. So in lieu of some gloomy vibe… we give you sweet COLOR! Thanks to the great comments and emails we received regarding our last illustration post, I decided to pull some archives and share the colorful work of Philippines based Dan Matutina, aka TWISTEDFORK. His work is a wonderful mix of color, great illustration and a tasty hint of beautiful textures! Perrier. Dita Von Teese style. 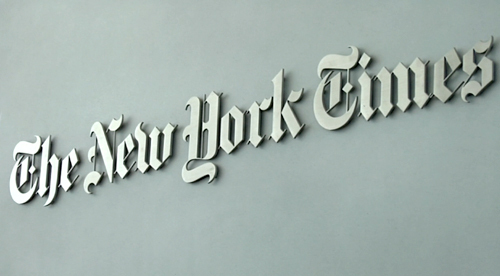 They’ve won countless awards for their graphic work, but now it’s time to investigate how graphics director Steve Duenes and his team of 30-some journalists at The New York Times headquarters find the time to do it. Props, high-fives, shout-out, whatever you kids call it these days to our friend Tiphanie aka Antigirl on her new site. We’ve been waiting for it, and now that we are able to share it, it was well worth the wait! 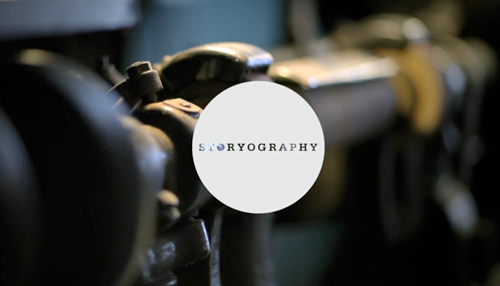 Check out the new site, bookmark it and yes… share it! Don’t know many people who enjoy Mondays, specially if it is a rainy and cloudy one. 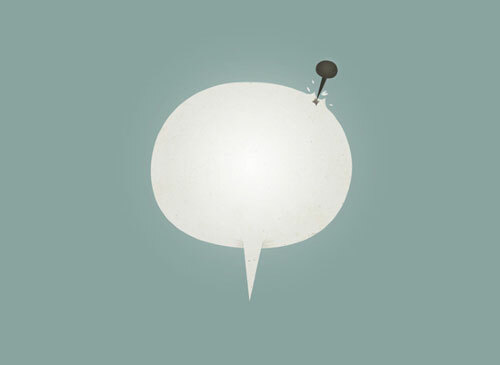 So if you are feeling a bit gray, check out these great illustrations by Swedish illustrator Lindha Boberg. I love her clean, gothic-ish, dark style (even though she uses pastel colors). You may hate him or you may love him. 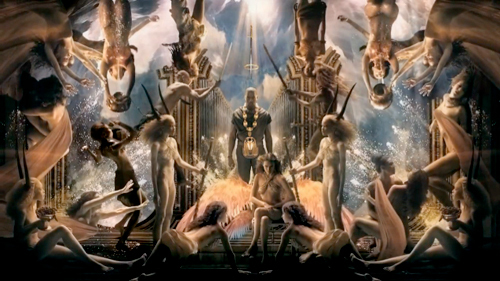 You might want to believe the Illuminati theories about his new video, or you might just assume it was influenced and inspired by Renaissance paintings. The point is, whenever Kanye does something he wants you to know or have an opinion about or he’s always successful. Friday! 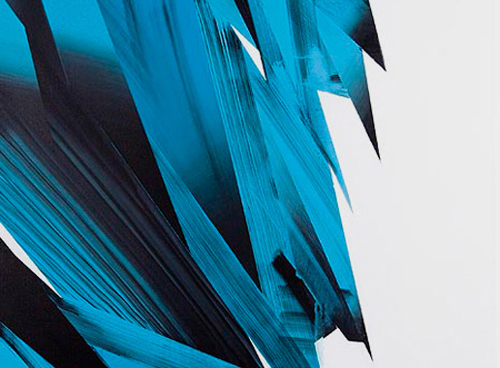 And what better way to end the week than with the beautiful and inspiring work of Swedish photographer Camilla Akrans. Her stunning editorial and fashion work is recognized worldwide and at her young age, she has worked for the best and biggest magazines and fashion giants including Hermes, Vogue Italia, Numero, Harper’s Bazaar, Vogue Japan, Bebe, H & M, etc. Want a cool extra fact? She was also a Graphic Design student! 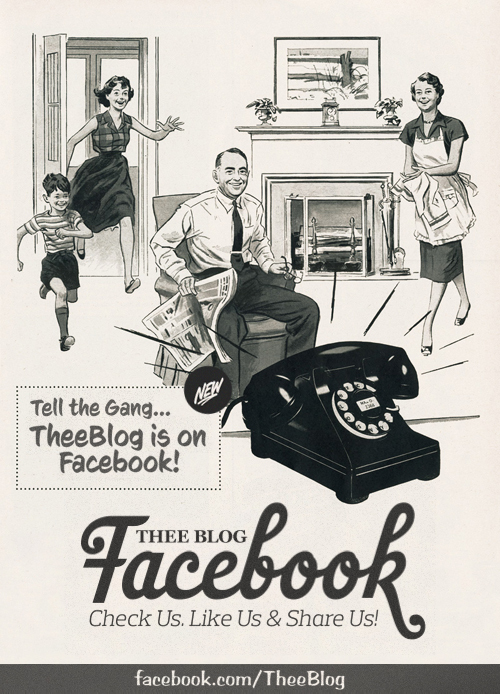 Thee Blog is on Facebook! 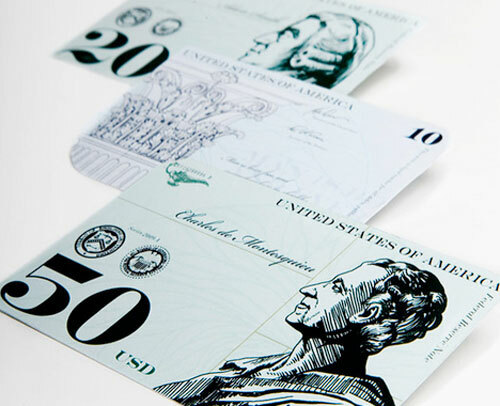 We all know there are thousands of incredibly talented artists out there whose portfolios and sites we are constantly checking and bookmarking but Darren Di Lieto went a step further. 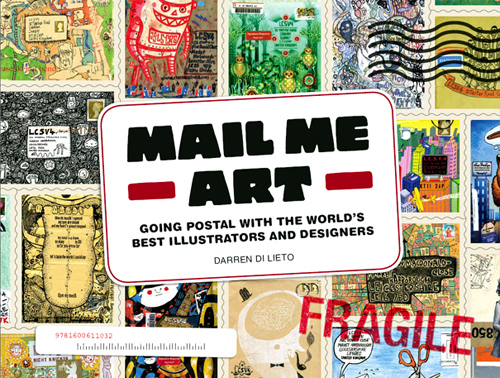 He invited artists worldwide to submit their personal work as part of his Mail Me Art project and be part of his book “Mail Me Art: Going Postal with the World’s Best Illustrators and Designers” consisting of a collection of the best submissions.